If you're having trouble with your Eureka vacuum cleaner, and you've checked the basics, such as making sure it's plugged into a working outlet and that the power switch is fully switched on, try checking some typical trouble spots. The hose, belt, filter and brush can be sources of problems if the vacuum is not cleaning effectively or is not moving correctly. You can fix some of these problems yourself or identify possible sources of trouble to get help or advice from a professional. The hose, belt, filter and brush can be sources of problems. Check the nut on the power switch if you are having trouble turning the vacuum on and off. Loosen the nut with a screwdriver a quarter of a turn and try again. Check the brush roll. If the bristles look worn or bent or have hair and debris entangled in it, replace it. 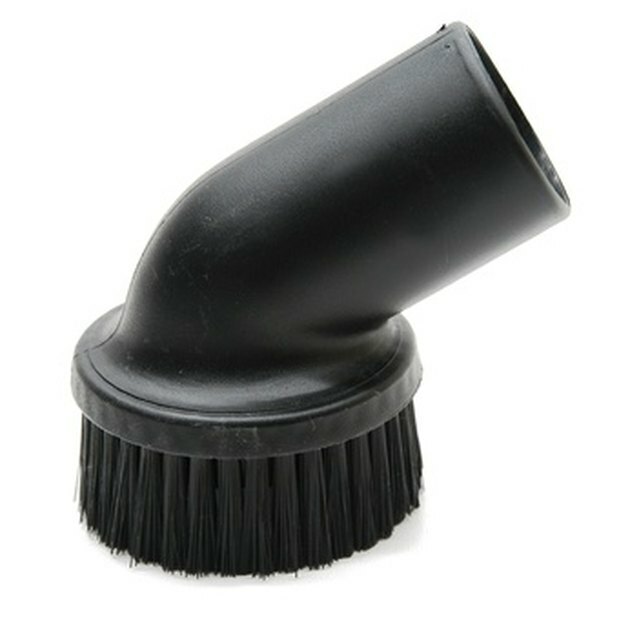 If they have lost their stiffness, the bristles will not pick up the dirt as well; replace the brush roll if the bristles feel soft. Replace the bag if it's full, and check that the bag is installed properly. Check the nozzle where the bag meets the hose for obstructions. Check the belt if the suction is not working efficiently or if the vacuum is difficult to maneuver. If it is broken or looks worn, replace it. If the belt breaks consistently, adjust the height to a higher setting and check if you are catching hair and other debris around the brush roll. Vacuuming up the corners of area rugs may also contribute to breaking and weakening belts. Determine if there is a blockage in the hose if your accessories are not picking up dirt. Check whether the switch that changes the airflow from the main vacuum to the hose is loose if your vacuum's accessories are not picking up dirt. Verify that the vacuum's wheels are not obstructed by hair, string or other debris that can tighten around them, making the vacuum more difficult to maneuver. Adjust your vacuum's carpet-height setting if the vacuum is not suctioning dirt effectively or if the vacuum is difficult to push. Put it on the highest setting, then bring it down one setting at a time until you hear the sound of the vacuum change to a lower register. This indicates it is hitting the carpet appropriately and may improve maneuverability and suction.